Tel Aviv, Israel, is among the leading cities with a higher number of accelerators or available funding. According to our city rankings, this is a good place to live with high ratings in startups, business freedom and safety. Tel Aviv is one of the top ten city matches for 0.1% of Teleport users. Costs of living in Tel Aviv are in the most expensive 20 percent of all 248 Teleport cities. Average living expenses are significantly higher compared to other cities, especially in the housing market. Moving to Tel Aviv will very likely increase your daily costs of living. Sign up for free to get access to our cost of living index and use our international cost of living calculator to do cost comparison by city. Software Engineer salaries in Tel Aviv are high. For this job type, Tel Aviv ranks 45th for salaries among 265 cities. Get access to our salary comparison calculator by signing up. Compare salaries city by city with our free salary wizard and convert your own salary to a local salary in Tel Aviv. Do locals recommend living in Tel Aviv? How could Tel Aviv improve to make it a more liveable city? We will make sure that the local government will know about the suggestions that reach enough votes*. 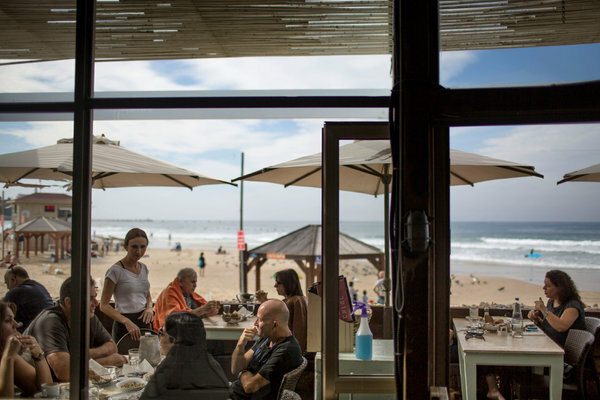 Is Tel Aviv a great place to live? What makes it special for you? What makes it liveable? What should others know about? Why should they move here? Why do you love it? Looking for a job in Tel Aviv? Let the jobs come to you! Sign up with your email and we’ll start working on getting job offers from Tel Aviv delivered to you. It's free. No strings attached. You can unsubscribe anytime. The overall crime rate puts Tel Aviv in position 112 of 266 Teleport Cities in a ranking for the safest cities. Young, modern Tel Aviv and ancient Jaffa pulse with energy and combine to offer bustling markets, night clubs and a beachside promenade just right for two wheels. Tel Aviv (Hebrew: תל אביב, Arabic: تل أبيب) is the second largest city in Israel (after Jerusalem), and the largest metropolitan area. It is on the Mediterranean coast, about 60 km northwest of Jerusalem and 100 km south of Haifa. The official name is Tel Aviv-Yafo (תל אביב-יפו), and reflects the fact that the city has grown beside (and absorbed) the ancient port city of Yafo (English: Jaffa, Arabic: يافا Yafa), to the south of the new city center. Tel Aviv is home to most foreign embassies in Israel. Tel Aviv is a rapidly growing city in the midst of an exciting transition from medium-sized urban center to bustling international metropolis. Its booming population, energy, edginess and 24-hour lifestyle give the city a cosmopolitan flair comparable to few other cities in this part of the world. Tel Aviv is not really divided into districts, but rather into over 50 different neighborhoods. Some neighborhoods are really distinctive areas with different cultures (e.g. Neve Tzedek, Florentin, Ramat-HaHayal), while others are simply indicating a geographical area. Tel Aviv grew mainly from the south to the north, so the further you go to the north you will encounter newer buildings and wealthier communities. Some of the most innovative startups founded in Israel. Brought to you by the Founded X community.